The FinTech Blog publisher, Michael Halloran, caught up recently with Eli Broverman, Co-Founder and COO of Betterment to talk about its recent success and find out what inspired him and Co-Founder Jon Stein to create Betterment. MH: Eli, it’s been a couple of years since the two of us met at Morgan Stanley’s offices. 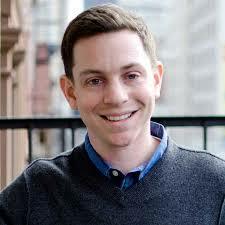 There’s been a lot of growth at Betterment, but to begin can you share what inspired you and Jon to start Betterment? EB: The “problem” in the financial industry inspired Betterment. The problem that we saw was companies were not thoughtful about how to deliver the best products or be aligned with their customers. At Betterment, we want to be the obvious answer to the question “What should I do with my money?” There was no great option on how to invest the right way: automated, low cost, with a great user experience. We built this company out of the need we saw in our personal lives. Friends would ask for recommendations wanting the same type of service we wanted and it did not exist – so we set out to build it. MH: I know one of the big differences between you and some of the others out there is the way you chose to make a big upfront investments in what you built. Can you tell me more about that? EB: Absolutely. When we started thinking about how to really rebuild the entire customer experience, we quickly realized that we needed to start from scratch. We could have just built an online-based advisor as a front end and sat on top of a legacy broker-dealer, but that would not offer the type of experience that we thought customers deserved. MH: How hard was to build our your platform from scratch? What were the key challenges? EB: The key challenge was time. It took us nearly two years to build the systems and receive SEC and FINRA approval. Betterment handles everything: trading, cash movements, statements, basis tracking, tax statements, and everything in between, so naturally it takes time. MH: Can you share any key moments, when you felt like the Betterment team achieved a big breakthrough, in terms of getting the platform to be a MVP? MH: You’ve also been called the Apple of online investing. Can you say more about how the team feels about user experience and the UX design process? EB: At Betterment, delight is one of our core values. We have invested a lot of time and talent to make sure we provide the best experience for our customers, whether that is mobile or online. MH: Why do you think others, especially large companies in financial services, seem to fall short in terms of UX? EB: Often times the traditional industry doesn’t want to deliver a clean, easy-to-use experience. By making things complicated, companies can make more money by overwhelming you with options. It can also be challenging for companies that just keep building on top of their legacy technology. The way their technology stack is structured, it can be nearly impossible for them to create a good experience without tearing it down and completely rebuilding. MH: Can you share any big insight you gained from the process of building out your platform that might help others in other sectors of FinTech, who are just starting out? EB: My biggest piece of advice would be to remain patient. Building in FinTech can be incredibly challenging and a slow process at the onset. MH: How do you see the industry for online investment management unfolding in the next few years, e.g. in light of legacy players like Schwab rolling out Intelligent Portfolios? EB: I think everyone has taken notice that there is an enormous demand for a product like ours. The category will definitely become more crowded which most people would consider a challenge, but we really only see opportunity. As more of these companies enter the space, people will research the various options and we are confident that we’ll come out on top with the best product on the market. My biggest piece of advice would be to remain patient. Building in FinTech can be incredibly challenging and a slow process at the onset. MH: How do you feel about being part of the NY tech / FinTech startup scene? Do you envision having other locations, or do you think you’ll stay focused on NY? EB: We love being part of the NY tech/FinTech startup scene. There is incredible talent in this city and it is one of the core reasons we chose New York to start Betterment. We have no plans to open offices elsewhere at this time. MH: How would you describe the culture at Betterment? EB: Incredible, we pride ourselves in having a great culture. We have a very fun, hard-working team. It is a very open, transparent environment. MH: What keeps you awake at night? EB: I think about our customers nonstop and what the next thing should be that we build for them to continually improve their experience. MH: Can you share anything about the future of Betterment? EB: We are growing so fast at the moment and seeing so much opportunity! We will continue to grow the team and expand our current offering and advice. MH: What is the number one suggestion you would give to any FinTech startup? EB: Don’t rush the process when first starting out. Take your time and make sure that you have built the best possible product you can before launching. MH: Thanks for sharing your “founder’s story” and best wishes for continued success. Note: Betterment will be a host company for John Battelle’s NewCo NYC event in May, so engineers, product managers, designers (or any fan of Betterment) can visit NewCo’s site to sign up for to visit Betterment’s offices (seating is limited). 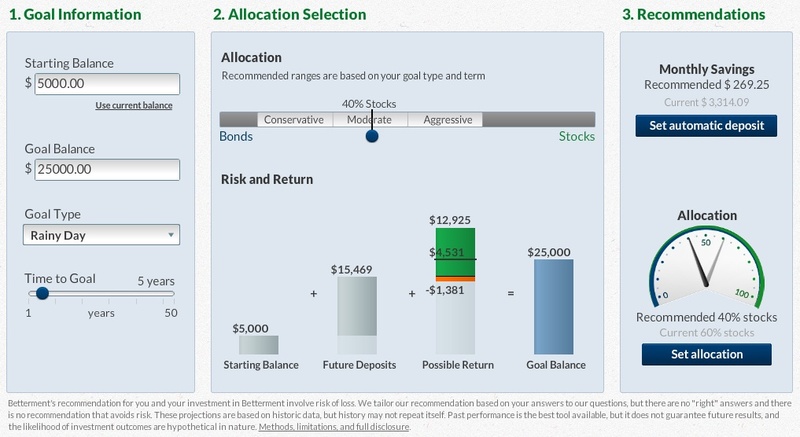 Posted on March 24, 2015 June 11, 2015 by Michael Halloran	This entry was posted in Uncategorized and tagged Betterment, online investing, Personal Capital, roboadvisors, Schwab Intelligent Portfolios, wealthfront. Bookmark the permalink.